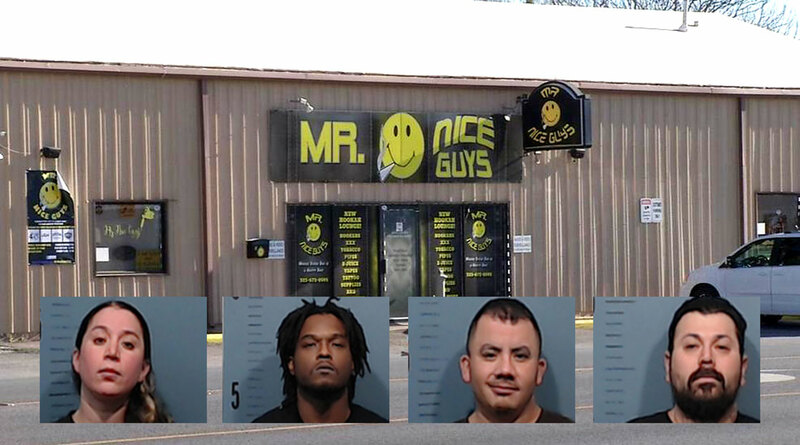 ABILENE, TX– The Abilene Police Department Narcotics Division arrested four employees of a smoke shop after numerous products tested positive for THC. Tetrahydrocannabinol is a crystaline compound that is the main active ingredient of marijuana. Eanest Gonzales Jr., 34, Jennifer Lee Flores, 35, Jorge Armando Villanueva, 37, and Kyle Johnson, 36, were all charged with organized criminal activity. According to KTXS, authorities found a package of pills and packages of edible gummies that all contained THC. Police also recovered bank records that showed money being used to purchase the products containing THC.